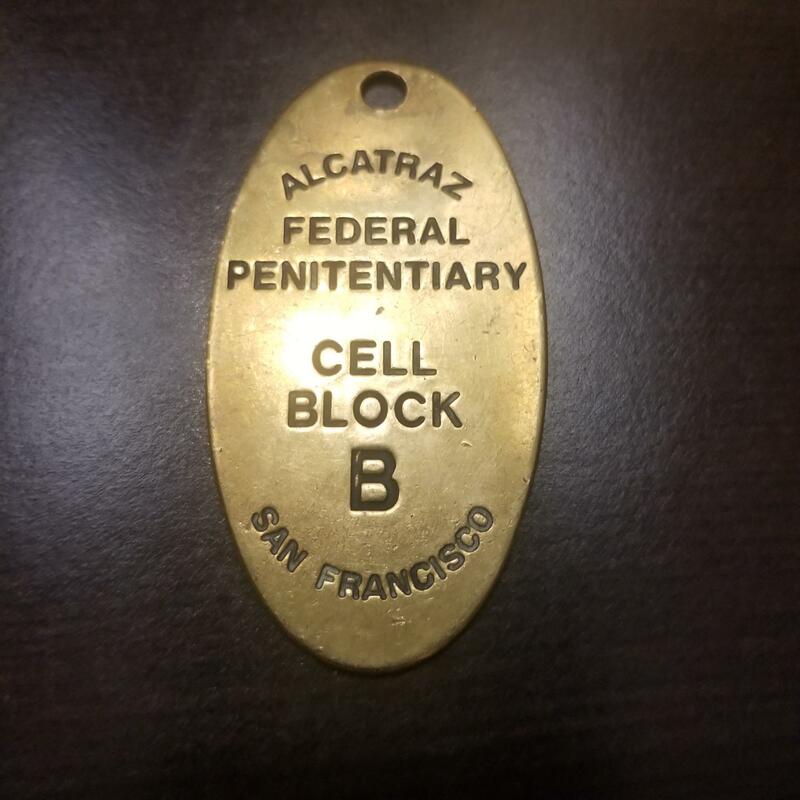 I found a brass tag that says 'Alcatraz Federal Penitentiary Cell Block B'. Although I am thinking that it is most likely something that was sold as a souvineer at some point, it is interesting to me and seems to have some age to it. I have only found a couple like it online but the lettering is different on the front and the others have 'Lowell Sigmund 1976' stamped on the back. Mine has nothing on the back of it. Please help. Thank you! 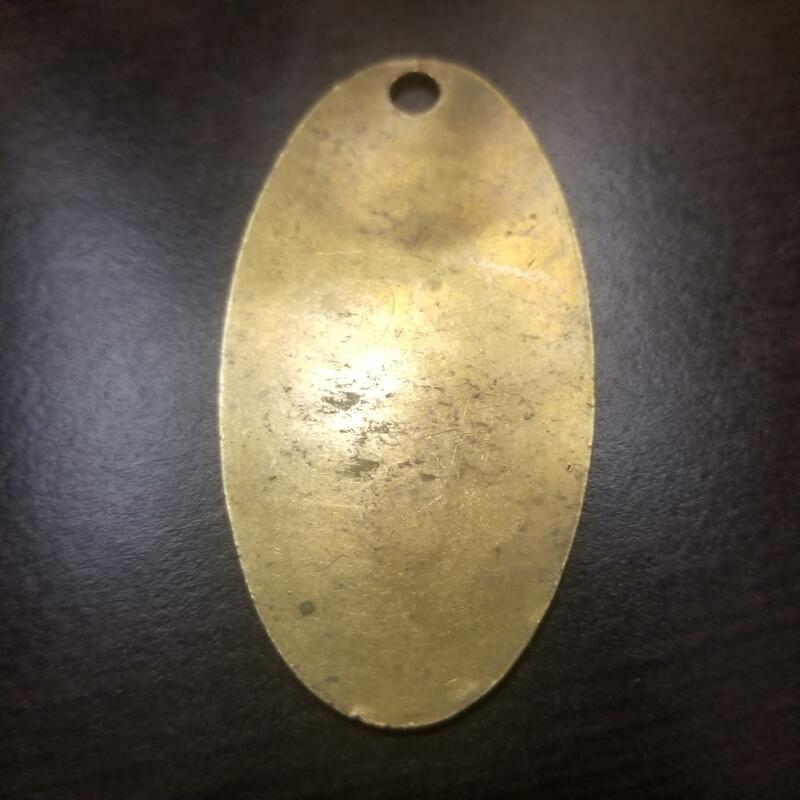 Through research I believe what you have is eaither a test piece by this company, an error that was not reverse stamped or actually a key fob from Cell Block B used circa 1934 - 1963.